Improved traction on all surfaces especially in loose material such as snow, mud and dirt. Now snow here yet. But I sure do feel like I am more ready this year than I ever have been. The Traction belts were not very hard to put on and the video helped with that. Thanks for the friendly service when ordering. And also for the timely delivery. Installation was a little more difficult than anticipated. Would most likely remove the tires and install on the work bench, in warmer, fall weather. Outside of that, they worked great. No longer get stuck on hard packed snow. 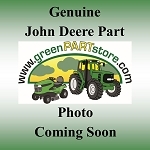 I have a 2 stage snow thrower on a JD 318, and even with a substantial amount of rear weight, the stock tires could not get enough traction, especially on any type of incline. 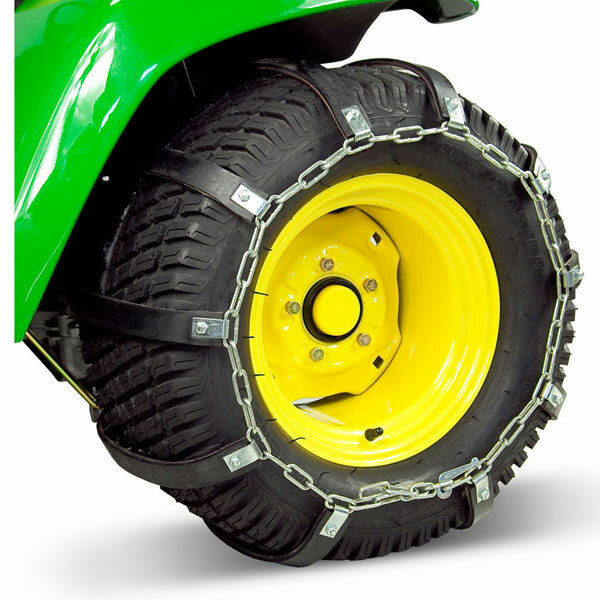 I would highly recommend these to anyone looking for improve traction that is afraid of the damage caused by metal chains. Final note, I have not used these on solid ice. Since they are rubber, I would not expect them to dig in to ice and perform as well as an actual metal chain. Easy to install and provide good traction in the snow with no noticable impact to asphalt. I highly recommend.